I’m gonna blow your mind right now: Zucchini is — botanically speaking — a fruit. I’ll let that sink in for a sec … OK, all good? A versatile plant, zucchini lends its fruity side to sweet baked goods, like muffins and bread, but it is most often used in savory dishes since it’s usually treated as a vegetable. And if you haven’t acquainted yourself with this bright green squash, you’re missing out because we just so happen to be in the middle of zucchini season. I’ve long served zucchini as a side dish, usually sauteed or grilled, and while those dishes are staples in my cooking repertoire, I’ve been looking for new ways to prepare this summery squash. 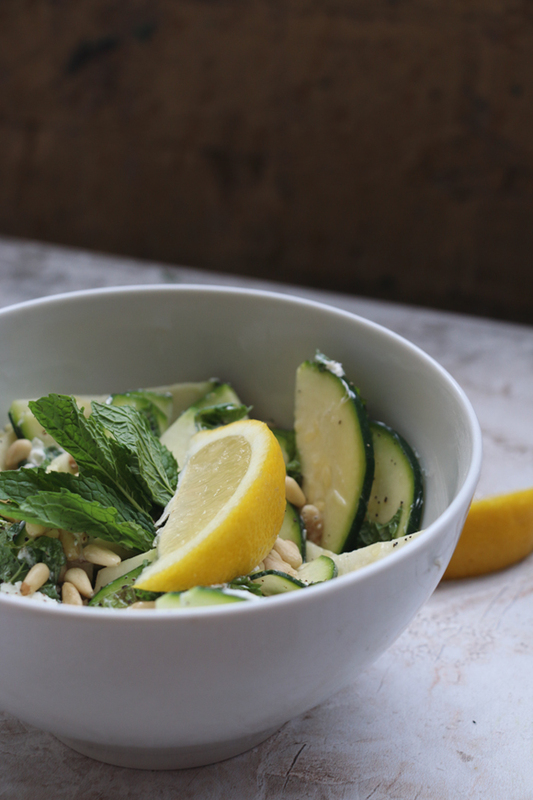 Turns out, Zucchini is just as tasty raw as it is cooked, and after digging through my fridge to see what I had on hand, this super easy zucchini salad was born. Serve it as a side at your next summer gathering, or make it a main dish by adding a grain, like quinoa, and serving some crusty bread along side it. 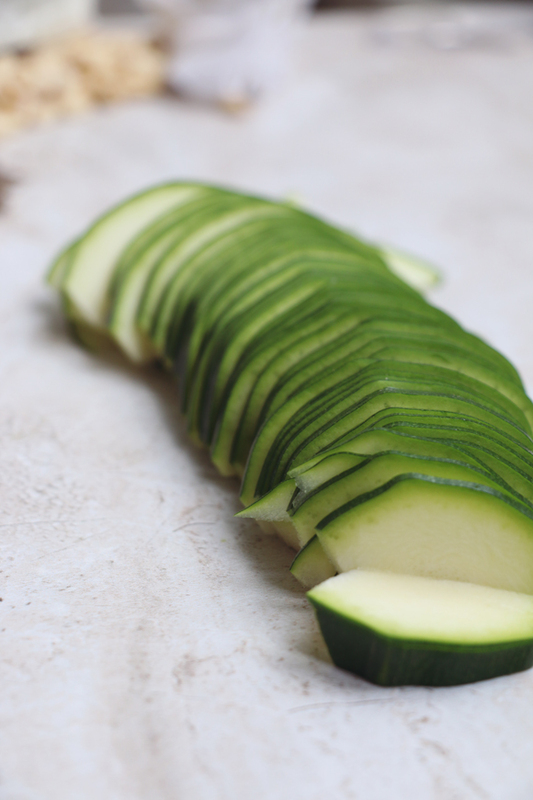 Using a sharp knife, halve the zucchini, then use the knife or a peeler to slice each half into thin half-moons. You can also use a julienne peeler to slice the zucchini into ribbons. Once the entire zucchini is chopped, add it to a medium serving bowl. 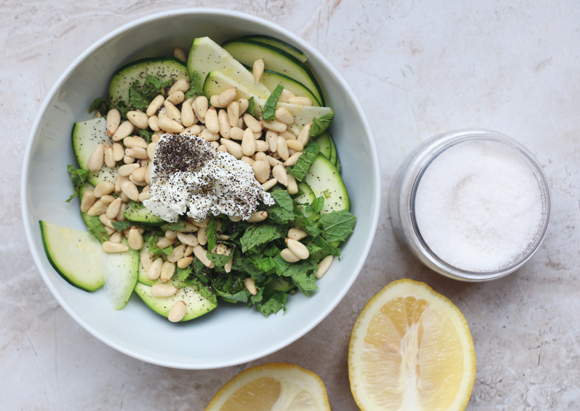 Coarsely chop the mint and add it, along with the goat cheese, pine nuts, salt, and pepper, to the serving bowl. Toss to combine with the zucchini. Add the lemon juice and olive oil, if using, and toss until the mixture is fully combined. literally eating this right now: it’s SO good and refreshing! kinda alternated the recipe a little and it still tastes amazing! 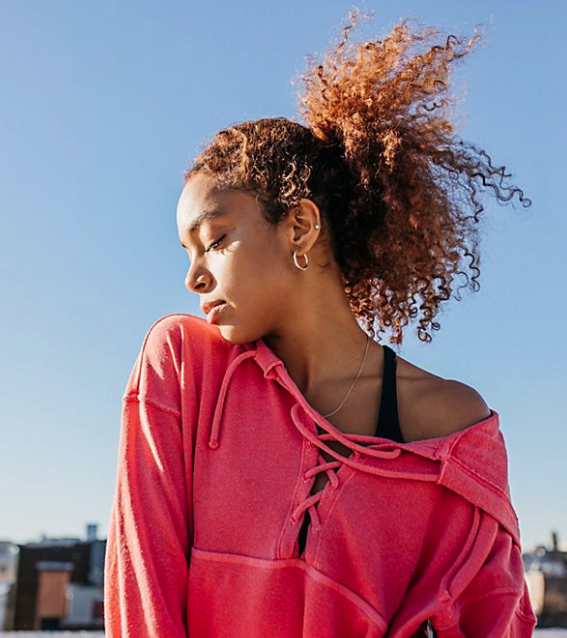 <3 thanks for sharing, it's so easy to make and perfect for summer! Hmmmm this recipe tastes amazing ! This is perfect for a summer lunch. Thanks for sharing !